Special clinical interest in non invasive cardiac imaging and invasive cardiac imaging (TOE). Professor Greg Scalia is a Gold Medal graduate of the University of Queensland, 1987. He was the first dedicated echocardiologist to join GenesisCare, having completed a two year cardiac imaging fellowship at the Cleveland Clinic, USA in 1996. Professor Scalia is a nationally respected expert in echocardiography, undertaking a busy schedule of lecturing and teaching in Australia, the United States and South East Asia. 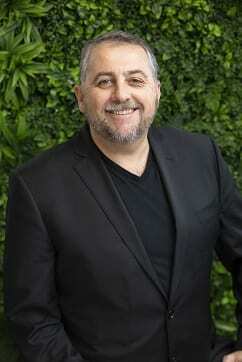 He has been co-director of the Echo Australia program since its inception in 2002. Professor Scalia has been awarded fellowships in the American College of Cardiology and the American Society of Echocardiography. He was awarded a Master of Medical Science by the University of Queensland in 1999 for original research into cardiac diastolic function. He has been Associate Professor of Medicine at his alumni, the University of Queensland since 2004 and became a Professor in 2018. Professor Scalia is the Director of Echocardiography at The Prince Charles Hospital. Professor Scalia has published over three hundred papers, abstracts and book chapters in peer-reviewed major journals. Dr Scalia consults and tests patients at the Wesley Hospital, and visits Hervey Bay regularly. He has a particular interest in patients with valvular heart disease.